Have you ever wanted to change the ugly carrier logos that show up on your iPhone’s status bar? Depending on where you are using your phone, you may have been dealing with an ugly logo staring you in the face when you use your phone. This is something that can be easily fixed if you jailbreak your phone. But you won’t have to thanks to CarrierEditor. It is a Mac application that changes your iPhone’s carrier logo without you having to jailbreak your device. All you have to do is download the app, choose your carrier, and include the image you would like to replace your carrier logo with. The above video should give you an idea what this tool is capable of. Keep in mind that not all carriers may be supported. You will need an iPhone or iPad with 3G/LTE service and a Mac with OS X 10.7 or above to get started. The iPhone comes ready to go out of the box. But users could always customize their phone’s settings and do more things on it by jailbreaking it. Apple is not a fan of people hacking their iPhones. But to play around with apps like Auxo, you will have to. It is a cool looking app switcher that goes beyond what Apple offers. 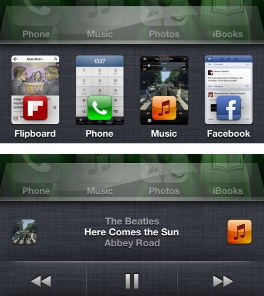 Auxo uses cards instead of icons and makes it easier to close apps. It brings more gesture commands to your device too. Auxo is available for iOS 6 and 5.1 devices and costs $1.99 on the Cydia store. It not only comes with an enhanced app switcher but also a better music player. An iPad version is in the works as well which will be exciting to see. 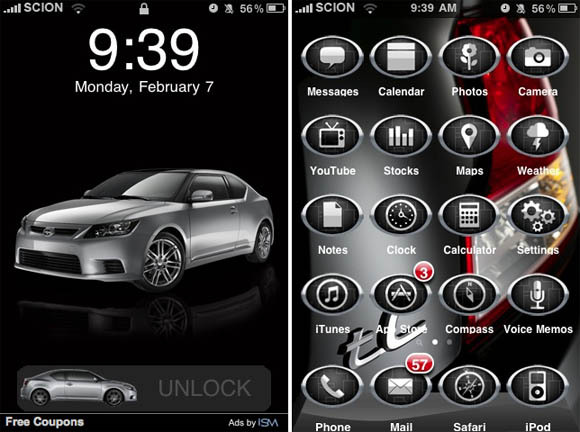 Apple Pressures Toyota Against Jailbreaker? Want To Install Android on iPhone 3G?